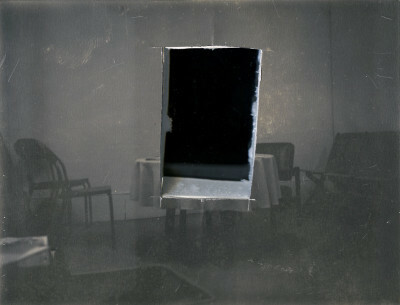 “The distracted self returns to roam around this cavernous labyrinth of interconnected rooms. 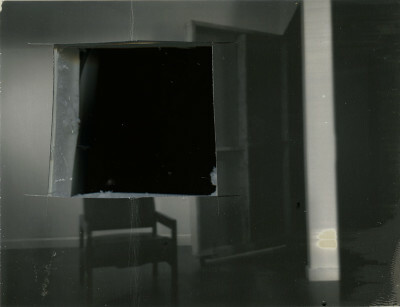 Spaces momentarily come into view only to fade into darkness and obscurity. Progressive and regressive wandering, the Polaroid camera clicks, negatives drop image by image into the container of water, and black strings of emulsion drift away to reveal the dark, blurry, murky, homey, mouldering zone, that ‘architecture’ tries to repress. 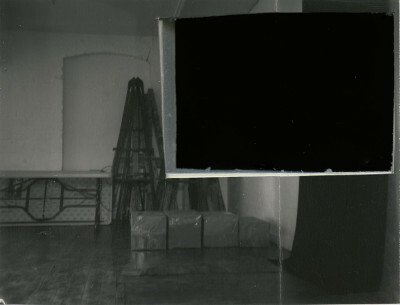 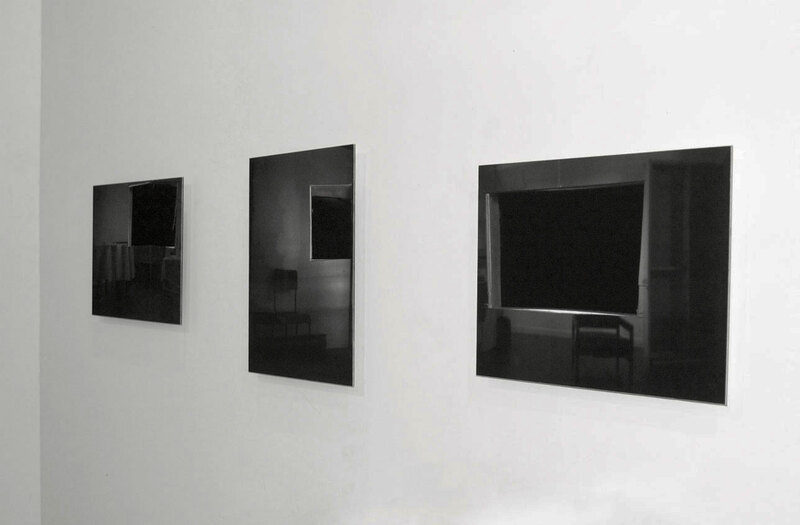 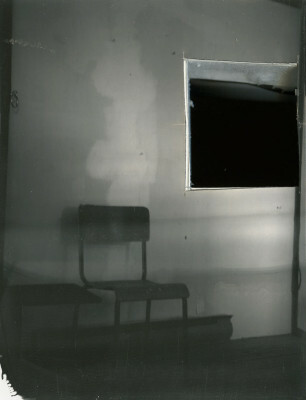 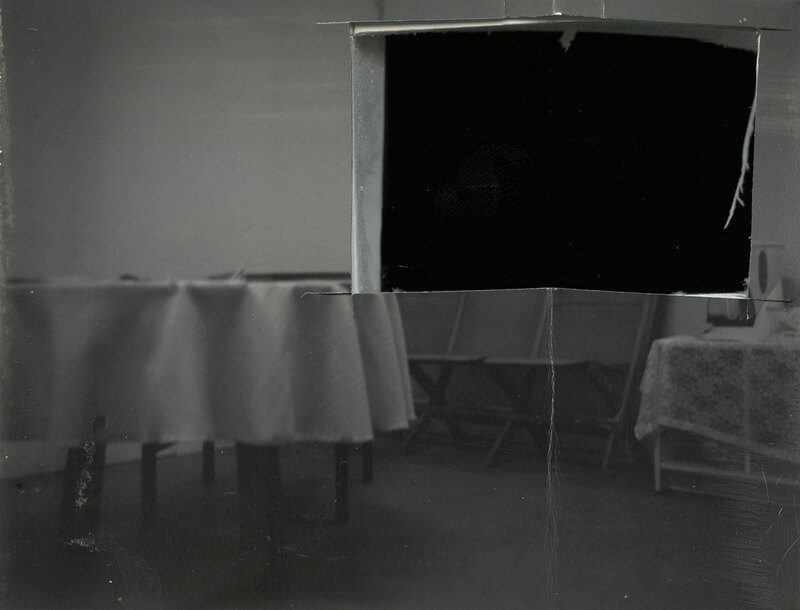 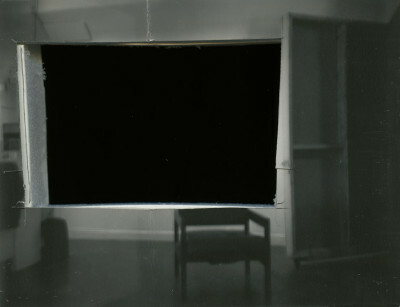 In the darkroom, a re-articulation of this inhabited space. 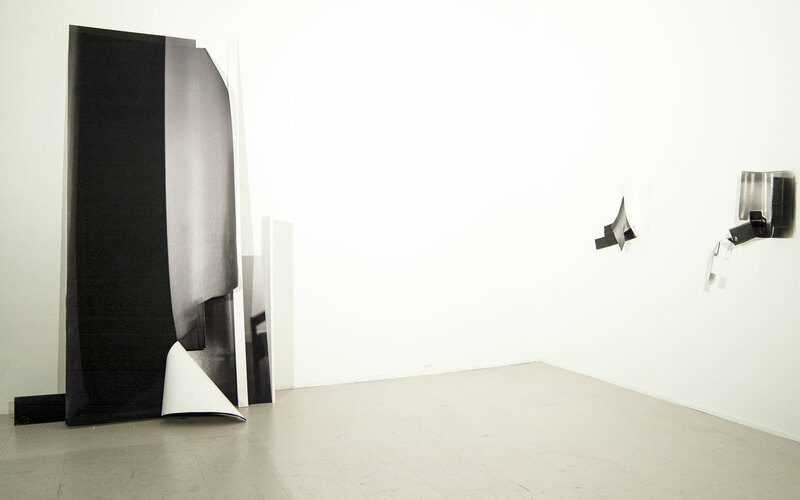 Deep cuts into the dense compost of fiber photographs, groundless depth, stratified space and time, now pliable. 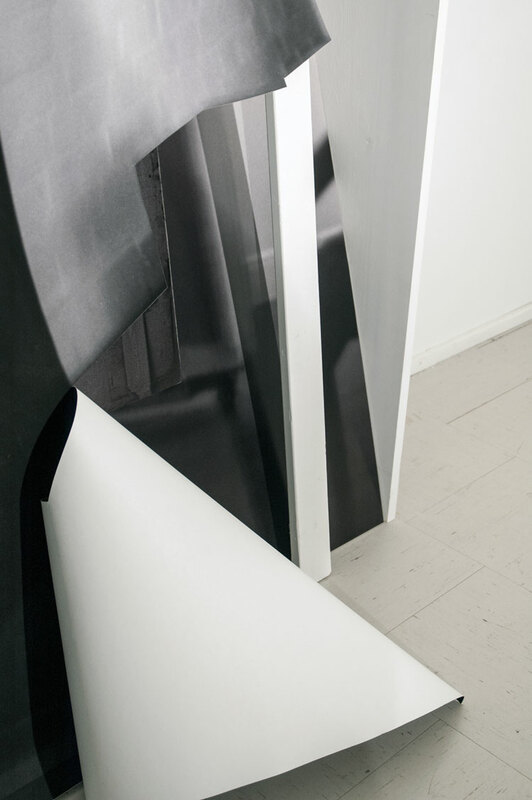 Folding, taping and gluing, I seek out traces of continuity between images. 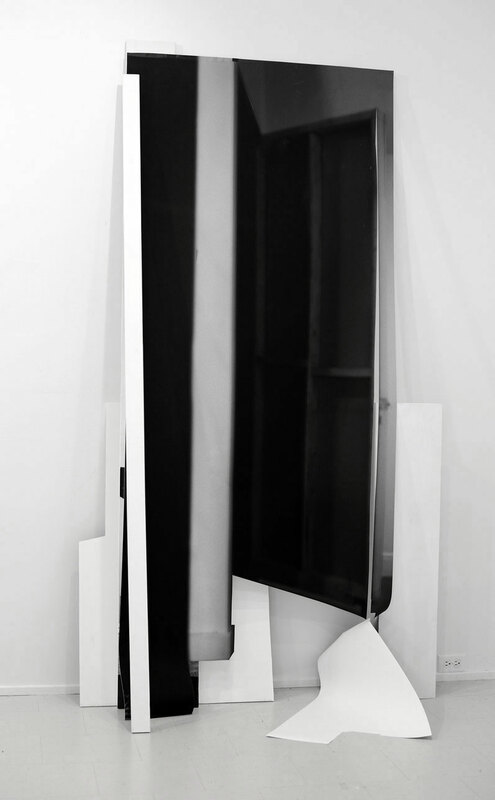 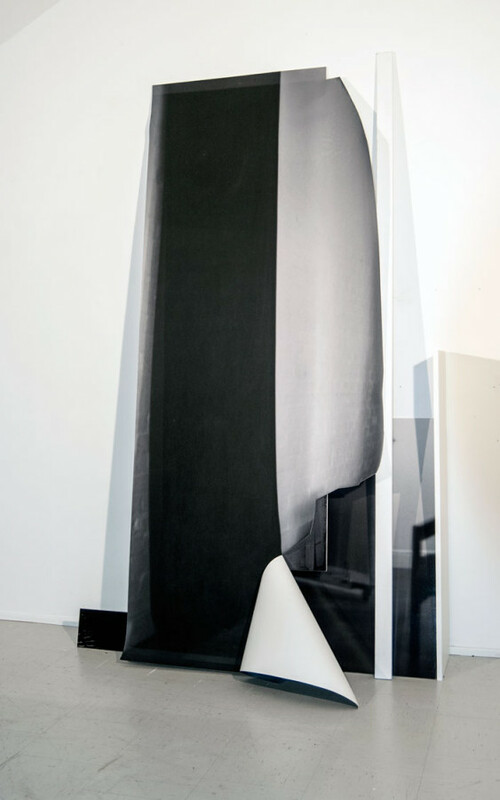 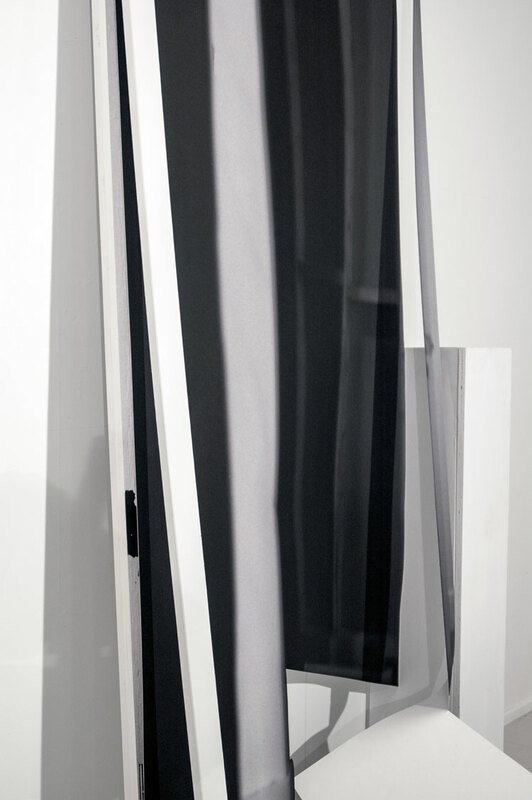 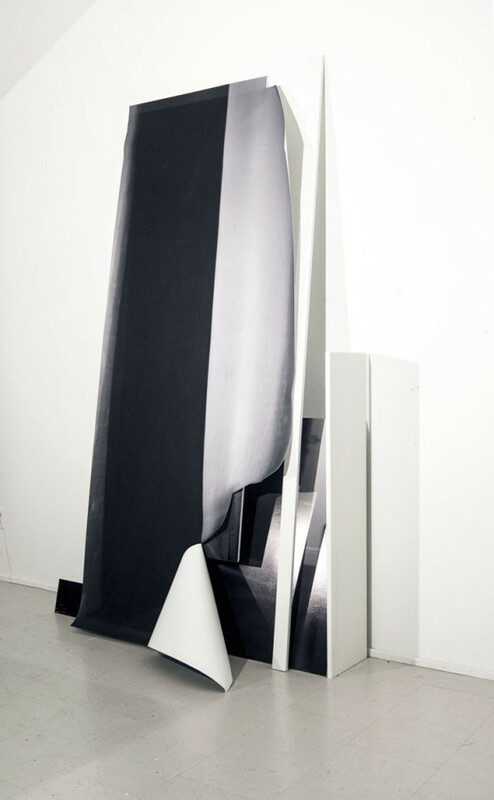 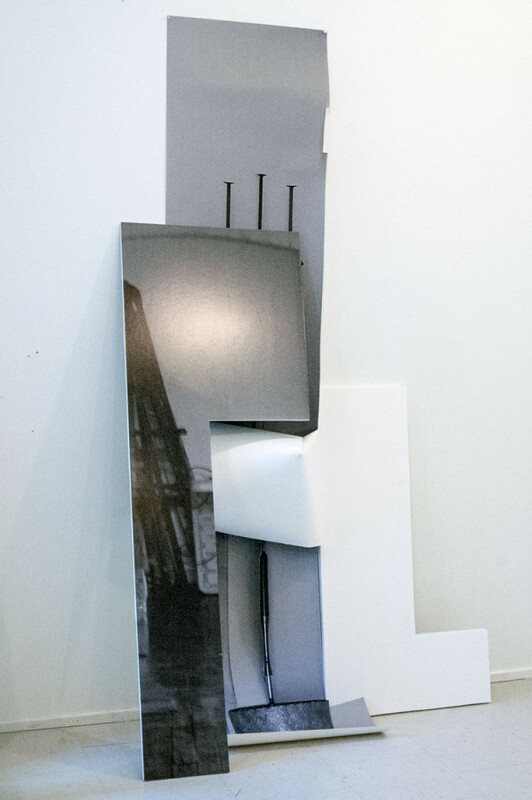 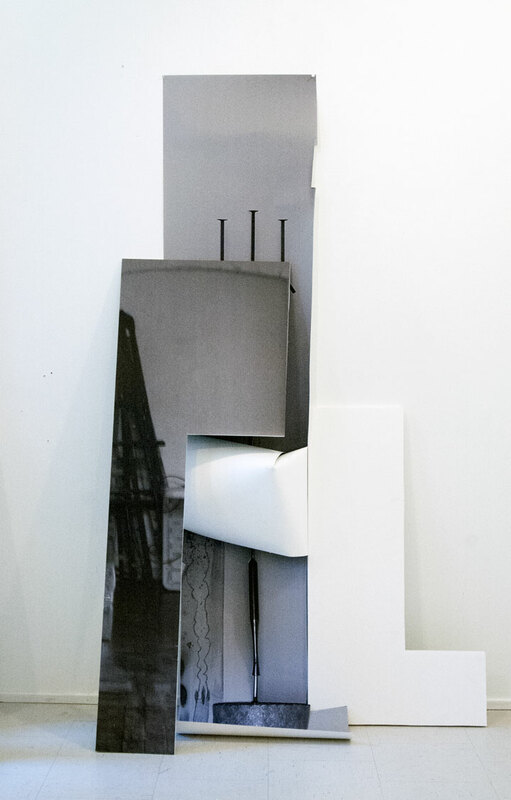 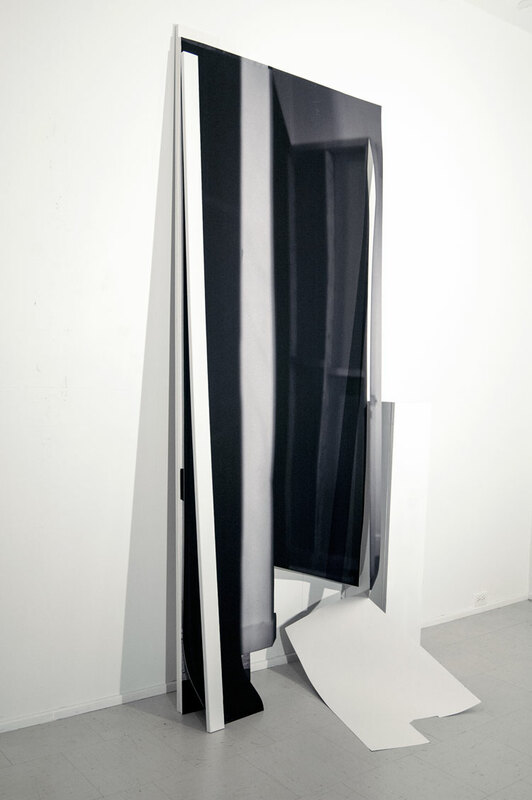 4.5’w X 8’h X 32”d, digital photographs, foam core, wood, paint.